Have you taken a scientist with you yet? 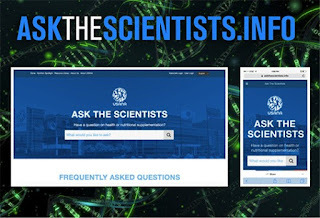 Your Health and Science Education Team (Toni McKinnon, Russ Barton, Austin Winegar and Dr. Brian Dixon) are very proud to announce that the new Ask The Scientists website has officially launched (temporarily as a beta-version). We realize that information isn’t always shared in a traditional setting. In fact, most of the time it is happening on-the-go--in your favorite coffee shop, restaurant, or other local hang-out ...literally just about anywhere. The new Ask The Scientist website is compatible with any browser on any web-enabled device--smart phones, tablets, laptops, and of course desktops. In addition to receiving a weekly science and nutrition email message, you can also access great information in our Nutrition Spotlight section on the new website. The new sight has many great features, so please check it out and let us know what you think! We’re excited and hope that you will share this information with everyone you know! SALT LAKE CITY, March 14, 2016 /PRNewswire/ -- As a leader in the nutritional industry for 23 years, USANA Health Sciences (NYSE: USNA) takes pride in its commitment to scientific innovation, which is why the global nutrition company recently invested in the growth of its premier research and development team, hiring three new scientists: Kevin Spelman, Ph.D., executive vice president of research and development; Rachel A. Brewer, Ph.D., senior scientist specializing in microbiome research; and Steven Glidewell, Ph.D., senior scientist emphasizing in genetics. "My mission, as Executive Vice President of the R&D department, is to continue in Dr. Myron Wentz' footsteps and apply cutting-edge science to guide the production of the most advanced and efficacious products on the market," said Spelman. 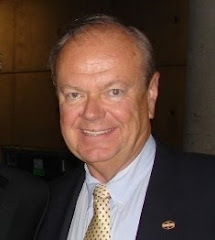 "USANA will drive the evolution and innovations of the nutritional supplement industry." USANA has doubled its investment in scientific research over the past year and plans to continue investing large volumes of resources into precision health goals for USANA and its consumers. "I chose USANA because I am able to apply research that helps others and stand with integrity behind the science I perform," said Brewer. "USANA makes supporting strong science their priority and I know the products I work with are making a difference in peoples' lives." 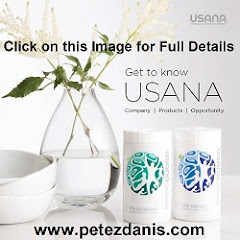 The scientists at USANA review all the latest scientific literature and clinical studies on important nutrients, vitamins, minerals and phytochemicals. They then go on to perform their own research. They also test the potency and purity of every product to ensure complete and balanced formulas.
. Specialized in forensic analysis of DNA and other biological evidence at the Analytical Genetic Testing Center, Inc., in Denver, CO.
"I've always wanted to be involved in unlocking the potential of genetics for personalization," said Glidewell. 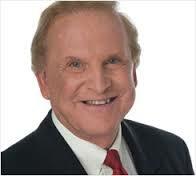 "I'm thrilled USANA has given me the opportunity to apply my research towards optimizing nutritional health choices." 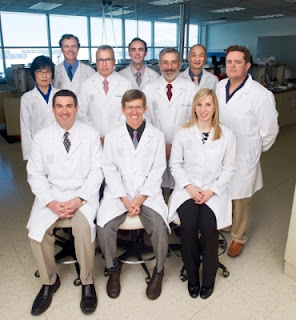 The Research and Development Department employs a multitude of experts, all with specific interests and skills, which is what makes USANA — and its commitment to the future of science — unique. Founded in 1992, USANA Health Sciences (NYSE: USNA) is a U.S.-based nutritional company that manufactures high-quality supplements, personal care and healthy food products in its FDA-registered facility in Salt Lake City. 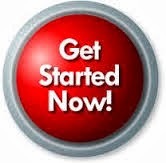 Learn more about USANA by visiting our web site http://www.usana.com or the official USANA blog http://whatsupusana.com. The reason so few people reach their goals, is that they were never realized in the first place. They see goal setting as rigid and too structured. Setting goals are actually the most creative approach to life. It is like taking your life as a lump of clay in the hand of the master potter’s on the wheels and then make it into a thing of beauty and utility. It gives great pleasure to you the artist and to others. To turn the wheel of life and not to fashion something, is to send the clay spinning and spattering in every direction A goal also can be likened to a ships rudder though seemingly small and rigid, the rudder can turn the ship into any direction the captain chooses. 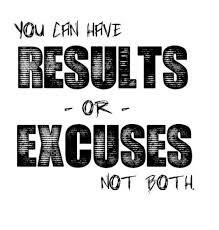 Once you set a goal, you can change it, adjust it, modify it and alter it. You are the Captain. Now remember a dream is what you would like to be and hold. But a goal is what you intend it to be and to make happen. Many people dream of an ideal life. They even go so far as to dream about their future with great many concrete details. They can’t really imagine however, turning that dream into reality with that specific game plan. Nevertheless, goals are intentional, they are rooted in commitment, and to do whatever it takes to make the dreams come true. each day and night to be guided in your living, as these words, help you with your goal achievement. Excuse Buster 19 of 22 - "I Can Always Do It Later"
Check Back Soon For Excuse Buster #20 - "I've Already Tried."